Developed by Prochoice Safety Gear , the ProPlug Bell line of corded and uncorded ear plugs is part of a wide range of hearing protection devices designed to deliver high level protection in noisy industrial environments. 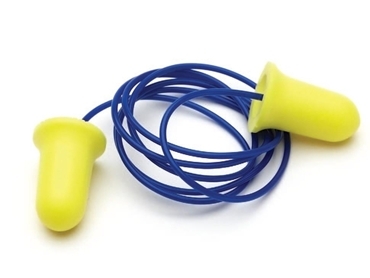 ProPlug Bell ear plugs are suitable for industrial applications including mining, construction, manufacturing, automotive, wood working, engineering, fabrication, cleaning and general industry. Hearing loss caused by constant exposure to industrial noise from machinery, day-to-day activities, tools and traffic is a widespread, yet preventable workplace injury. Easy prevention measures including suitable hearing protection devices help avert permanent and debilitating hearing loss. ProPlug Bell corded and uncorded ear plugs offer high level protection, superior design and high visibility, and come in a hygienic package.